Ninai Mata Temple Waterfall has tremendous beauty around it. 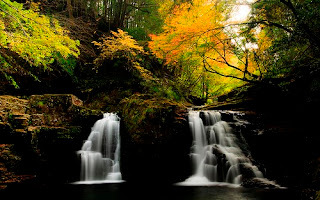 It is situated in Dediapada's beautiful forest ranges besides Shoolpaneshwar wildlife sanctuary.Ninai Mata Temple Waterfall is near Malsamot village, so the falls are also known as Malsamot water falls. Here is some fact about Ninai Mata Temple Waterfall in Sagai Village Near Dediapada Narmada Gujarat India. How to Reach by Rail : The nearest railway station is Bharuch railway station(125KM). How to Reach by Road : There are many public and private vehicals available to reach here.Road is not very good, but motor-able. Ninai Mata Temple Waterfall is located at Sagai Village near Dediapada forest area Narmada district Gujarat, India.The temple is dedicated to goddess Ninai.The small temple is situated in mountain cave. Here is very famous waterfalls, known as Ninai waterfall. This waterfall is also called the Narmada Waterfall. Water cascades from a height of 30 feet and is in the midst of the Shoolpaneshwar Wildlife Sanctuary. But water is very deep so it is very dangerous to go near waterfall. its completely restricted area. 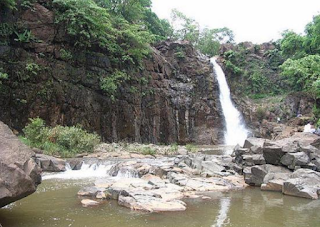 Ninai Falls Dediapada is very attractive place also very famous nearest in Vadodara city. Ninai Falls is beautiful place so many local people also tourist are coming enjoying also photo session capturing image waterfall this place.Best place for weekend picnic and have fun with friends and family.